Dr. Fiorellini joined Penn Dental Medicine in 2005, serving as Chair of the Department and Director of the Postdoctoral Periodontics Program through June 2015. 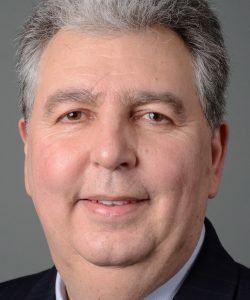 Prior to joining Penn Dental Medicine, Dr. Fiorellini was at Harvard School of Dental Medicine, where he served as Vice Chair and Associate Professor of the Department of Oral Medicine, Infection and Immunity; Head of the Division of Periodontology; and Program Director of Periodontology. Throughout his tenure at Harvard, Dr. Fiorellini also maintained a private practice in periodontics and implant dentistry. His areas of research include the relationship of genetics and periodontal disease and studies related to periodontal regeneration and implantology. Dr. Fiorellini currently serves on the editorial boards of the Journal of Periodontology, the International Journal of Oral and Maxillofacial Implants and the International Journal of Periodontics and Restorative Dentistry. He has authored more than 50 manuscripts, reviews, and textbook chapters, and his research awards have included National Institutes of Health and International Association of Dental Research travel grants, The American Academy of Periodontology Young Investigators Award, The Academy of Osseointegration Research Award, and The European Association for Osseointegration Research Prize. He was also the recipient of the 2005 E. Bud Tarrson Research Award in Oral Plastic Surgery from the American Academy of Periodontology Foundation.